It does seem like it to me. I was even told that during a job interview many years ago. I remember when you could look at the want ads in the Sunday paper and there would be all kinds of ads for Industrial Engineers ranging from the small type ones up to the large display ads. It was very easy to find a job if you were willing to relocate. Then it seems like they got fewer and fewer. I am of the opinion that when companies started getting away from Industrial Engineers, Industrial Engineering principles and the associated in-shop disciplines, that is when world competition began to overtake and out perform us. 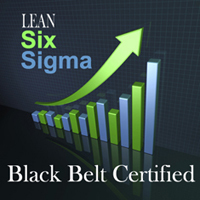 Today, as an Industrial Engineering/Lean Six Sigma Black Belt Consultant, this may be the very reason that business has been so good for such a long time. By the time I get the call and engage to do work with a client company, there are already big problems and I quickly find out that there has been no one there addressing the real causes, namely no Industrial Engineers. There is only one company, which I have done work for, in the past 10 years of consulting that had an Industrial Engineer on staff when I got there and he had recently been called back and he was rendered ineffective. Many times the IE's are given mundane clerical tasks like BOM maintenance or are the first to get laid off during hard times and they should be the very last ones to go. Traditional Industrial Engineers are hard to find now and those skills are used less and less to the detriment of manufacturing, especially in the USA but I suspect the world. I use all of my Industrial Engineering skills on virtually every job. I do not understand how you can run a manufacturing business without a plant layout, without time study and line balancing, without methods analysis and standard work instructions. I have yet to encounter any continuous improvement team with improvement results anywhere close to mine or anywhere near the speed or cost effectiveness that I can do it for. Of course for many years now, Lean and the Toyota Production System have taken manufacturing and some service industries by storm which is great. Nothing about Lean has surprised any Industrial Engineer. The principles are the same just formalized into a softened methodical structure so anyone recruited to an improvement team can be trained to follow the steps which will lead to continuous improvement and savings. I personally find that the DMAIC process is inherently slow. As a consultant, I find that most companies do not want to pay for the full Lean training and implementation program. When there is a Lean Coordinator on staff, with a company, they can organize training and team events year round and can take many months to complete. Sometimes this is relatively effective and other times not. Sometimes the Lean Coordinator gets complacent and lazy. So what is the answer? I very strongly believe our country should ramp up and turn out traditional Industrial Engineers that are fully trained and well versed in Lean principles, the DMAIC process and all of the Six Sigma tools. Industrial Engineering skills are very much still needed and are timeless. Maybe some day it will become popular once again.